Should we expect that name for EV or hybrid Subarus? Subaru's advancing to the electrified frontier, and it's reportedly picking a name for its plug-in hybrid. That name is said to be "Evoltis." While Evoltis sounds about as engaging as "Avensis" (Toyota) or "Magentis" (Kia), at least it's not as clunky as "Levorg" (an Aussie Subaru nameplate). Then again, when naming a child you should always try to picture how their name will be used in playground taunts, so we'll leave your to your imaginations on this one. A mention of the Evoltis name appears in the United States Patent and Trademark Office's listings, and the application has been filed as recently as March 26. We don't know yet whether the Evoltis name would stand for the entire vehicle or its hybrid tech — or if it will be actually used at all. Car & Driver reports that Subaru of America didn't comment on the matter when asked. But still, Subaru is said to come up with a PHEV by the end of the year, largely using Toyota's technology from the Prius Prime. We're probably not the only ones to hope for an all-wheel-drive setup, which would best suit Subaru's image and character. Last year, the carmaker said an electrified vehicle should be expected for 2018, but didn't specify whether it would be an EV or a hybrid. 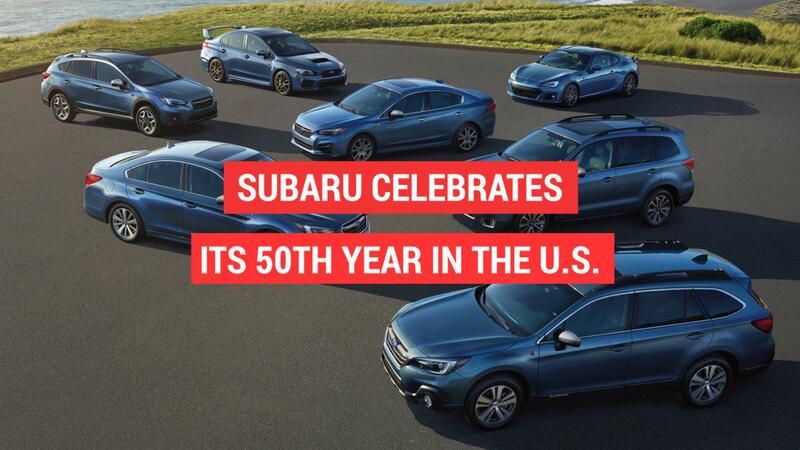 Subaru hasn't offered a hybrid in the U.S. since the Crosstrek Hybrid was discontinued in 2016, and it's produced precious few all-electric vehicles in its history.